Let’s face it, erosion is inevitable. In the pictures below, what you will see was once a sea wall, that is, a futile attempt to keep sand where we humans think it should stay. The ocean moved the sand, as it always does; and the ocean removed pieces of the wall, one chemically weathered molecule at a time. 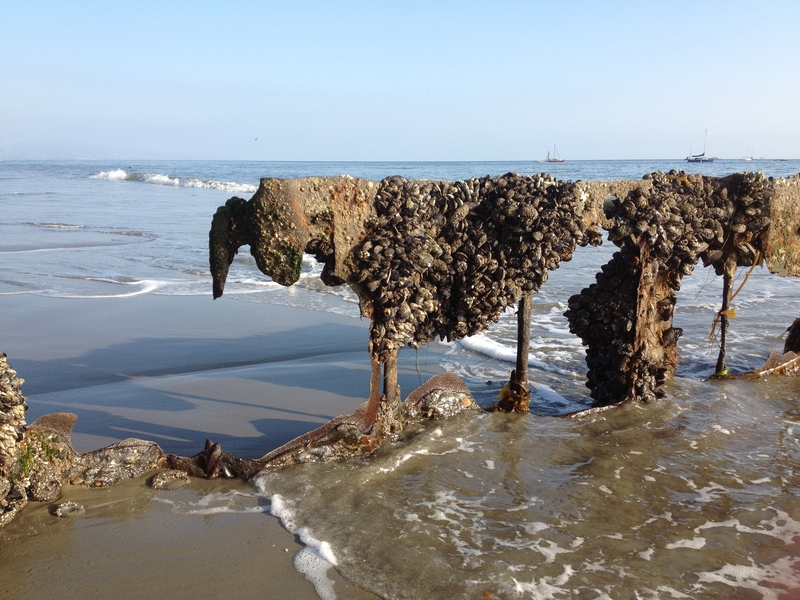 The result is a relic that charges my imagination every time I visit its beach, in Santa Barbara, California. 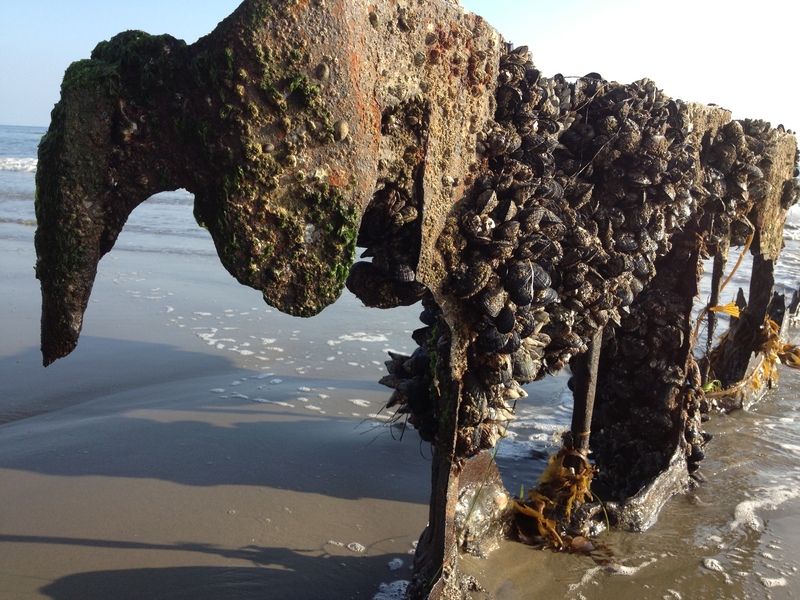 This former seawall now evokes a line of creatures. 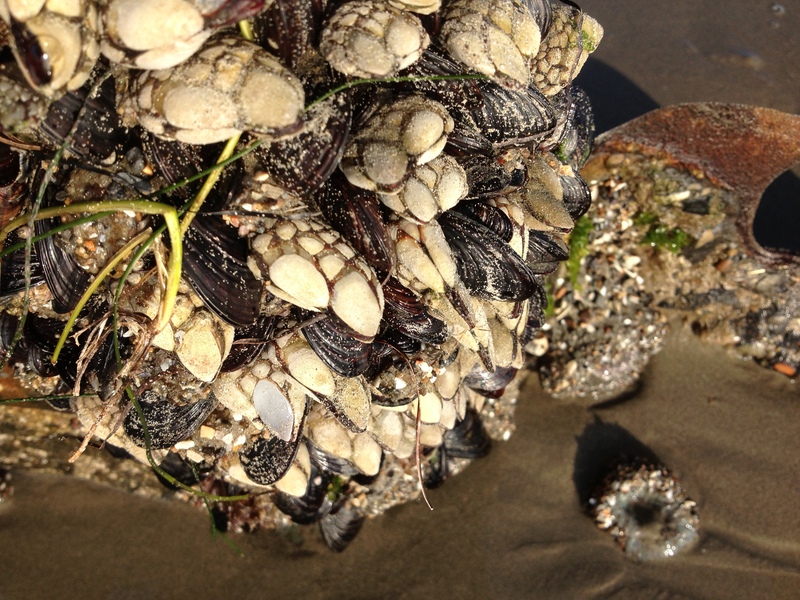 The creatures have tide pools growing up their sides! 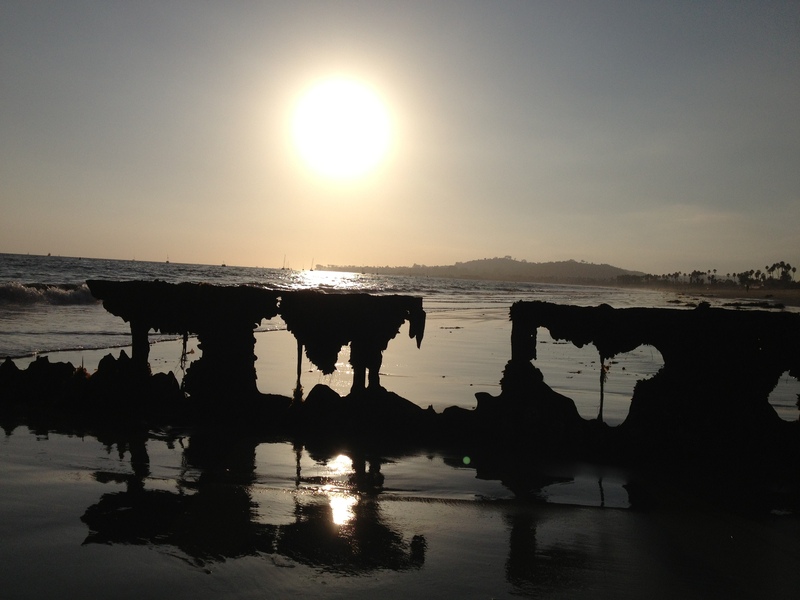 I’m guessing that the tidepool growth protects the remaining wall from more erosion. Detail of a creature’s “leg”. At the feet, anemones are open for business. 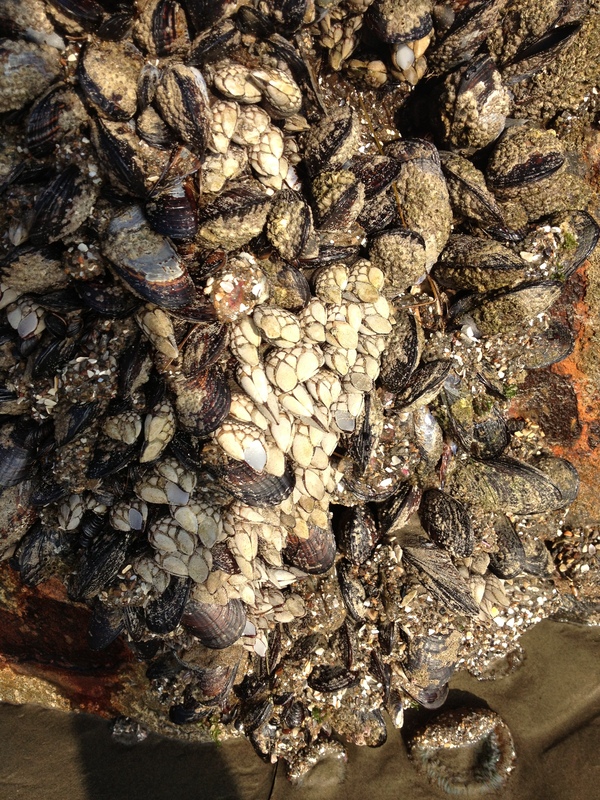 The dense organization of shells makes complex designs in the creature’s hide! Sunset instills its own magic on the scene. The WP Weekly Photo Challenge topic was “Relic”. ← A Freebie for Book Reviewers! 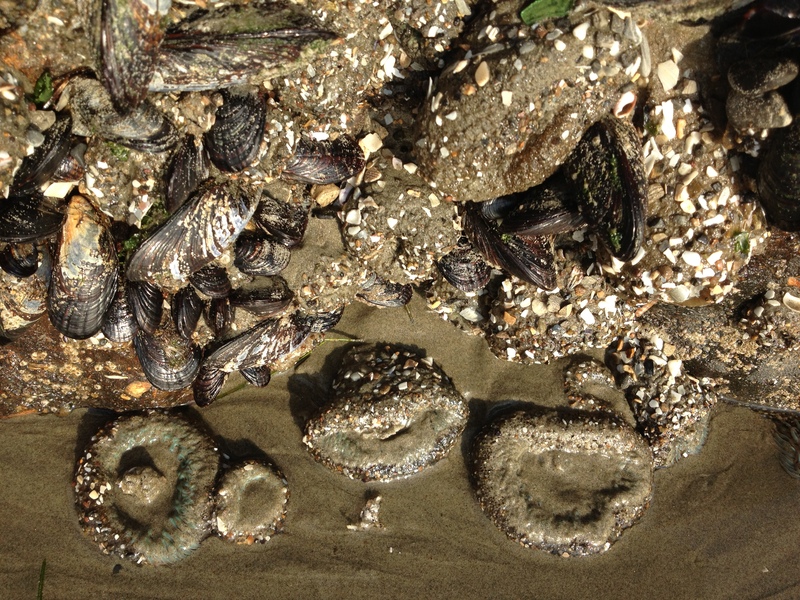 They are on East Beach and only visible at low tide.